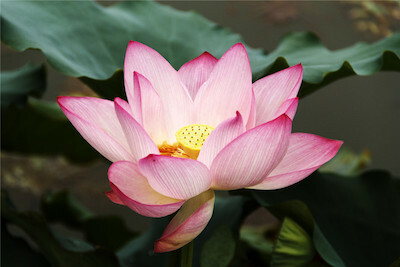 Throughout China, Japan, India, Egypt and other Eastern countries, the beautiful lotus flower is famed for its ability to grow in muddy, stagnant waters, absorbing what is useful and releasing what no longer supports its optimum health. Amidst challenging conditions, it breaks through the darkness to bring light, beauty, strength and grace to our world. There was a time when qigong was only known to a special few in China – martial artists, monks, “Traditional Chinese Medicine” (TCM) doctors, and the wealthy and elite who were privileged to hold the secrets to longevity. Today, qigong (pronounced “chee-gung”) is spreading, making slow and steady progress around the world, though many still cannot pronounce the strange word. If you were to ask someone on the street in North America what qigong is, they might say it’s an “old person’s exercise” as the slow, gentle, better-known tai chi comes from qigong and is deceptively powerful despite its gentle pacing. In China, qigong is used by TCM doctors to heal patients when they channel energy to the person who is ailing. Patients normally also get a “qigong prescription” that helps them to hasten recovery and healing. Participation can often make a big difference in recovery time, while also empowering the patient to be more involved in their quest for health and longevity. The “Radiant Lotus Women’s Qigong” (RLWQ) program is especially helpful for women who are undergoing difficult changes in their health, whether due to challenging cycles or hormonal issues that cause menopause symptoms…although these conditions by no means define the full breadth of RLWQ. “Radiant Lotus Women’s Qigong” was created by Daisy after years of study with different qigong masters who successfully addressed women’s health concerns with their own unique branch of qigong. RLWQ supports holistic self-care and self-healing of menstrual and hormonal imbalances, breast and uterine tumors/cysts, fibrocystic breast disease, emotional ups and downs, menopausal symptoms, memory loss and numerous other women’s health issues. RLWQ can be used as an augment to western medicine or to enhance existing health and well-being. RLWQ addresses the uniqueness of each women and offers options for releasing old energy patterns in the body while invigorating the body’s natural immunity. Emotional health is addressed as much as the physiology of a woman. The response has been incredibly positive in terms of how many women are integrating RLWQ into their lives, and receiving positive results. Women’s bodies are simply different than men’s. Perhaps I am stating the obvious that our hormonal fluxes, moon cycles and chromosome structures are uniquely female and cannot help but influence our emotions, thoughts and physical bodies. “Radiant Lotus Women’s Qigong” honors these differences and seeks to enhance the whole-body health of women from the time of menstruation, through pregnancy (should she decide to have a child), and well into her wisdom years. According to “Traditional Chinese Medicine,” if a woman takes care of her health through the different seasons of her life, she will have the opportunity to attain vibrant health and mature with grace, wisdom and vitality. In fact, menopause is considered the time of life when a woman has the potential to fully blossom into her empowered self rather than seeing her life as half-over and hanging on for dear life to the things of youth – including insecurities, fears and self-doubts! Having had sufficient time and experience to explore and discern what is right for her, she now has a better idea of who she is and where she wants to go in the next 50 years. She can become a role model for those around her, reflecting back on her life with loving acceptance of the things she could not change, yet making the present moment count by living passionately and courageously in the here and now. Menopause is called “Second Spring” in China, a time of re-birth, renewal and celebration for the maturing woman. She has the opportunity to examine the life she has lived, to inquire whether she is following her heart’s path, and if need be, make the necessary changes to stimulate continued growth and happiness. It is a time of introspection, reflection, opportunity, and tremendous freedom if she has the tools to support her on her quest for optimum health. This is a very different concept than women have of menopause in the West where many equate the end of their child-bearing years as a loss of youth, vigor and vitality. Hormonal changes can wreak havoc on some, with uncomfortable symptoms such as hot flashes, mood swings, sleeplessness, memory loss, vaginal dryness, wrinkles and other changes. Through educating women on the changes in their bodies, minds and emotions and teaching them how to manage the changes that come with menopause, RLWQ empowers women to actively participate in their own self-care and renewal. By practicing RLWQ at least a few days a week, many menopause symptoms can be reduced or eliminated without drugs, making for an easy transition into our Second Spring. “Radiant Lotus Women’s Qigong” is here to support women in their personal development and self-healing knowledge. You will learn dynamic yet gentle qigong techniques to enhance your life, renew your energy and experience the years ahead with joyful anticipation. Whether you are undergoing a health challenge and want to learn how to accelerate healing, or have a desire to reduce stress, improve mental focus and physical health, I invite you to join me in a “Radiant Lotus Women’s Qigong” program and rediscover yourself in a whole new way.